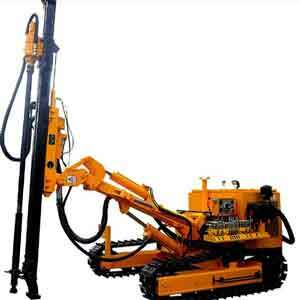 Drilling equipment usually comes in many varieties and has to be chosen according to the specific requirement of the job. This equipment is used in several industries ranging from construction to mining to oil and gas as well as exploration. If you are in one of these industries or involved in seismic geotechnical or geothermal drilling, then you will need to have the right tools for the job. As a matter of fact, you need to buy them from the best possible equipment manufacturer. - Experienced: It is very crucial to buy your equipment, accessories as well as parts from an experienced manufacturer. This company would have the know-how and equipment to manufacture a variety of tools and to find solutions to various challenges. - Wide range of tools: You’ll definitely need various kinds of tools from time to time based on the particular job at hand. It would be beneficial if you buy all your tools from the same company so that you would be established as a regular or big customer. You will likewise need tools that can withstand different pressures according to the job that is being undertaken. - High quality: The quality is very crucial whenever you want to buy drilling equipment and company which are known for quality products should be considered. - Cost effectiveness: The cost of purchasing the necessary equipment is an essential factor. However, equipment that is energy efficient and does not break down often will help you keep your running cost at minimal amount. This is because of a recurring expense which you need to consider as well. - Custom solutions: If the equipment as well as tools available in the market are not suitable for the kind of job you intend to do then it might be necessary to get a unique one manufactured for you. A company which offer CAD design as part of custom machining services will be able to make the exact part you require. - Repair and rebuilding: You will need this service as at when your equipment breaks down or is not exactly suitable for a job. Rebuilding equipment enables you to get multiple uses out of mining equipment, enabling you to save money. Drill bits often need to be repaired and re-tipped because they generally undergo a great deal of wear and tear. The right kind of drilling equipment enables you to complete projects at a faster rate than usual so that you can move on to the next one.